Fast50s Black hooded sweatshirt with a pouch. 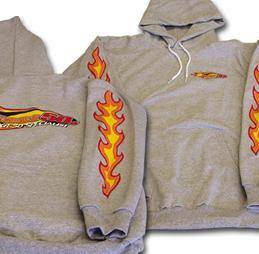 Fast50s flame logo on front and back as well as large flames running up the arms. These are High Quality Thick Hanes Ultimate Cotton Line! Not made of thin fabric.